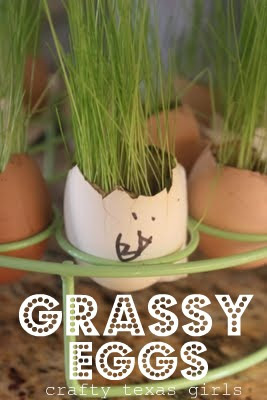 The past few years, we made our own "Grassy Eggs". We emptied out a dozen eggs (baked a bunch of cookies with the eggs!) and then filled the shells with soil, grass seed, and added some water. 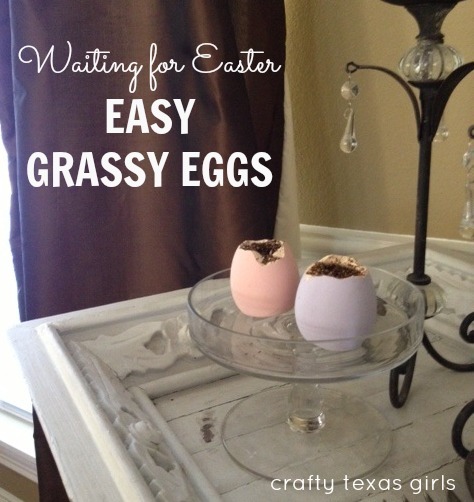 In a few weeks, the eggs would sprout up bright green grass. Some eggs had little faces drawn on them. Some were plain. I liked planting the seeds and then watching the grass grow. Such a symbolic way to celebrate Easter-- the empty eggs, waiting, watching, the promise of something wonderful to come. 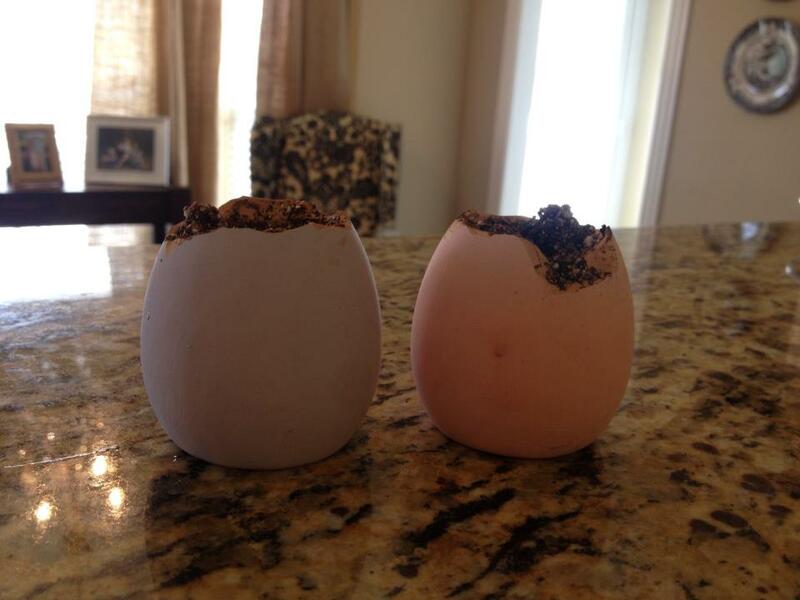 This year, my girls reminded me we needed to get started on those eggs. My hubby was at Lowe's at the time, so I called him and requested he bring home flower or grass seeds so we could plant it in our egg shells. When he returned home, he came in with these. 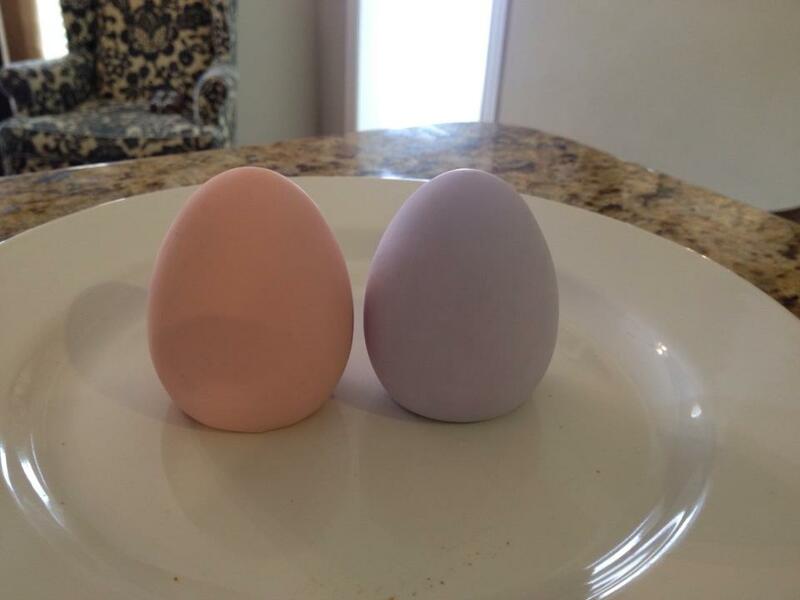 One purple, one pink ceramic egg. "Here!" he said. "These are way easier than those grassy eggs you usually make." The whole thing only took about 5 minutes. 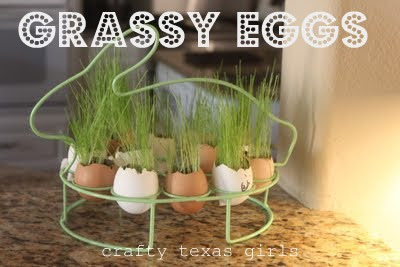 Much easier than our 'homemade' grassy eggs. And now we wait. Waiting to see what grows. What Easter traditions do you look forward to each year? 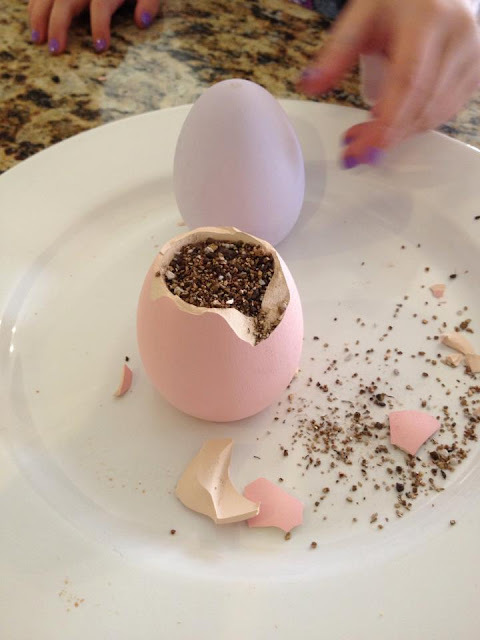 PS- If you want to try Grassy Eggs, now is the time to plant those seeds! These are so incredibly cute and fun!! One of my Easter Traditions is making an Easter Wreath! I'd never heard of this before (either your homemade option nor the store bought) but think it's a MUST do! My boys would loooove to help and I'm sure they'd be so excited to see the grass grow. Thanks so much for posting this, I'll make a quick stop at lowes tomorrow!